Welcome to the Happy Jack Yoga Ambassador program! This is your opportunity to be a part of a dynamic and empowering team who is committed to impacting as many lives as possible through the practice of yoga, both on and off the mat. Through yoga we show people what is possible in their own lives, helping them break through barriers and get in touch with their strongest, most authentic selves. 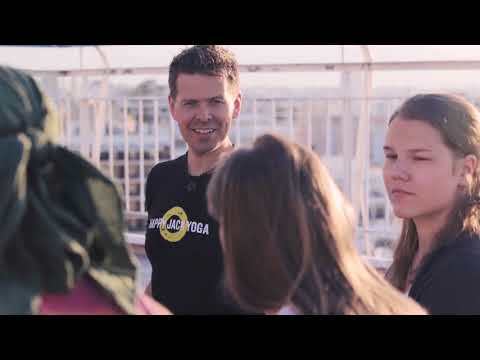 The Happy Jack Yoga Ambassador Program is a fantastic opportunity to inspire others to take massive ACTION and to receive massive VALUE for doing so. Our HJY Ambassadors are already active users on Facebook and Instagram. They regularly post about yoga, natural living, mindset, and celebrating accomplishments. Our HJY Ambassadors are thought leaders in their community and host yoga-based workshops and events designed to inspire and empower others. Please email Billy, explaining why you want to become a HJY Ambassador. How will you make an impact in your community? How will this opportunity encourage your own growth as a Teacher and Leader in your community? Successful applicants will receive a welcome package to ensure your success as a HJY Ambassador, and in your own business. Please send application to billy@happyjackyoga.com. we don’t just survive – we absolutely THRIVE.